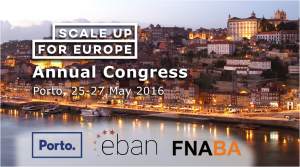 HeBAN will participate in the EBAN Annual Congress 2016, entitled “Scale up for Europe”, which will take place in Porto, Portugal on May 25-27, 2016. The 2016 EBAN Congress will feature top notch speakers and a unique programme. 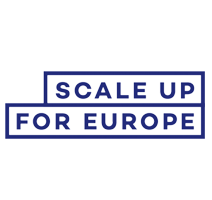 There will be a Matching Event, which will be organized by “Startup Europe Partnership” and “Mind the Bridge” where selected startups will have the opportunity to meet large corporates in 1:1 qualified meetings. In addition to the Matching Event, during the three – day congress there will be Workshops, Scale Ups, an Impact Investing Pitching Competition and also a separate section for Women Business Angels Investors. Entrepreneurs will have the opportunity to participate at this EBAN Annual Congress 2016 with a special discounted ticket. For more info get in contact with the EBAN team.